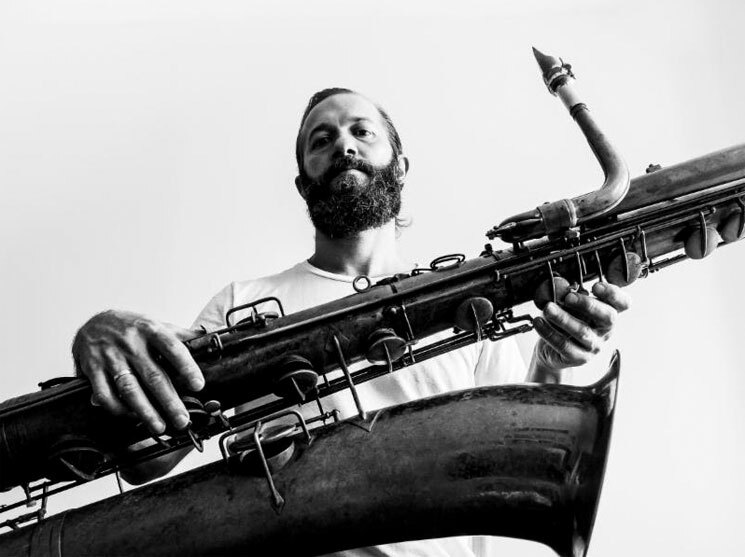 No stranger to setting film to music, sax man Colin Stetson has now been tasked with scoring a new horror thriller set to premiere at the Sundance Film Festival later this month. A listing on the festival's website points out that Stetson composed original music for Ari Aster's Hereditary. The film stars Toni Collette, Gabriel Byrne, Alex Wolff, Ann Dowd and Milly Shapiro as the Graham family, who are trying to escape a dark fate in the wake of their reclusive grandmother's passing. Hereditary was written and directed by Aster, while Kevin Frakes, Lars Knudsen, Buddy Patrick are set to serve as producers. It stands as Aster's first feature film. As of yet, it's unclear if Stetson's score will see any sort of soundtrack release. The film will screen at Sundance as part of the festival's "Midnight" slate of films. Further information can be found here. Sundance takes place on January 18 to 28 in Park City, UT.